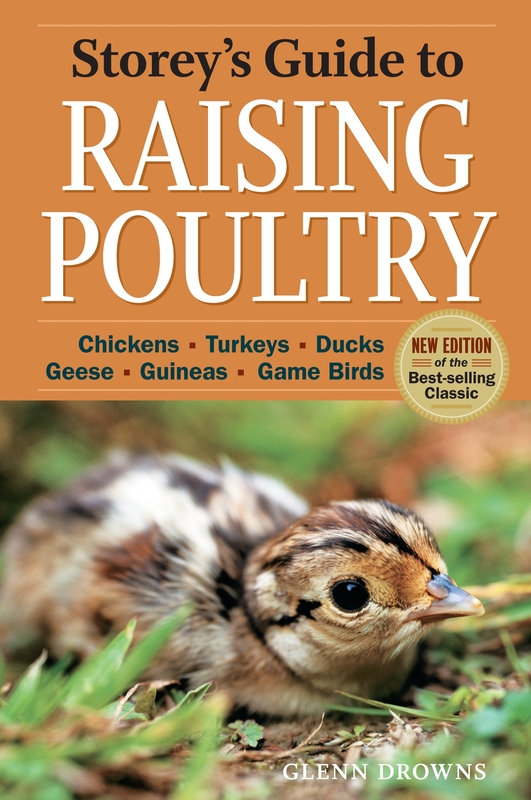 For decades, animal lovers around the world have been turning to Storey’s guides for the best instruction on everything from hatching chickens to starting and maintaining a full-fledged livestock business. Whether you have been raising animals for a few months or a few decades, the Storey series offers clear, in-depth information on a variety of breeds, latest production methods, and updated health care advice. The 4th edition has been updated for the twenty-first century and contains all the information you will need to raise healthy and content animals. This revised edition written by Glenn Drowns is in my opinion the only book you need to raise a wide range of poultry from chickens and turkeys to guineas and pheasants. Glenn Drowns, an expert on rare breeds and varieties of turkeys, ducks, and geese delivers everything you need to know to raise healthy, safe poultry in just 464 pages complete with illustrations and a nice glossary. 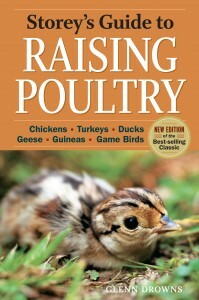 A diverse flock of poultry can provide free-range meat, eggs, and endless entertainment. Whether you’re running a large farm or raising a few birds in your backyard, Glenn Drowns tells you everything you need to know about health care, breed selection, housing, breeding, incubating, daily feeding, day to day care and the processing meat and eggs. Previous PostThe Chicken EncyclopediaNext PostWhat kind of Meat Bird should i purchase?